Advice to pregnant women to avoid nuts may have been not only misleading but at odds with the potential benefits of doing so, according to research that has found children could be less likely to develop nut allergies if their mothers eat nuts during pregnancy. The study of more than 8,000 children in the US found that those with non-allergic mothers who ate nuts five times a week or more during pregnancy turned out to have the lowest risk of peanut or tree nut (P/TN) allergies. A British expert said that while the results were interesting, they contradicted other studies that have shown either no effect of nut consumption during pregnancy or a possible risk. "To make things even more complicated, there is also strong evidence to suggest that . 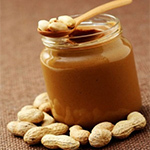 . . it is exposure of the infant's skin to nut protein that is most important in the development of allergy," said Dr Adam Fox, consultant children's allergist at Guy's and St Thomas' NHS foundation trust. "With such differing results from different studies, it is currently impossible to offer advice about exactly what mothers should do, but international guidance is that there is no need to either avoid nuts, nor to actively eat them."